Aaron Ness has been sent back to the Hershey Bears, meaning Jonas Siegenthaler looks to have secured a spot with the Washington Capitals for the time being. With Brooks Orpik on long-term injured reserve, Siegenthaler was given his first opportunity at the NHL level and played just over 12 minutes. Ness meanwhile will return to the minor leagues where he has spent the majority of his career, and continue his role as a veteran leader on the Bears’ blue line. The Calgary Flames have assigned Anthony Peluso to the Stockton Heat of the AHL, returning the 29-year old winger after just one game. Peluso has been up and down several times this year, and will likely continue to serve as an injury call-up for the rest of the season. Nick Paul is on his way back to the AHL after the Ottawa Senators reassigned him today. Paul has played six games at both the AHL and NHL level this season, and looks poised to split the year between the two leagues. 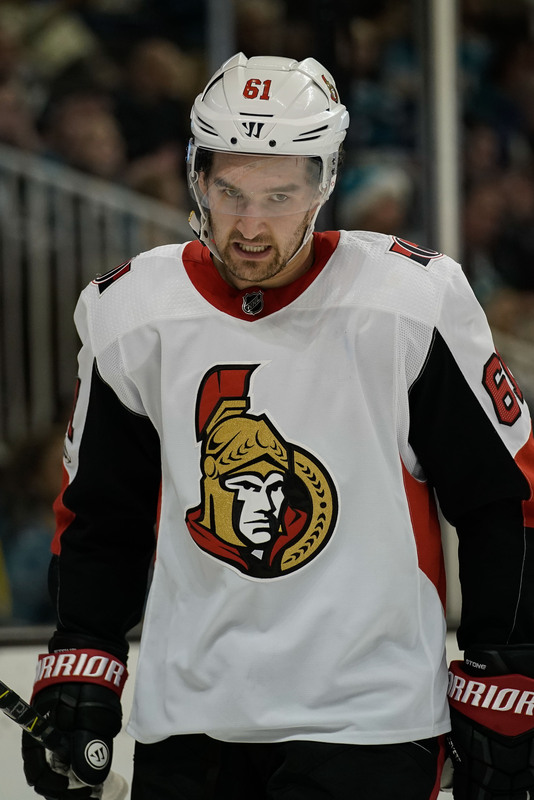 The 23-year old hasn’t been able to establish himself with the Senators as a full-time option, but does brings some size and physicality when needed. The Ottawa Senators have had a busy morning when it comes to roster moves, sending Jack Rodewald and Christian Wolanin to the AHL in exchange for Erik Burgdoerfer, Nick Paul and Mike McKenna. McKenna in particular is the name fans were waiting to hear, as he’ll be the option to replace Mike Condon in net for the time being. Condon is on waivers and is expected to be assigned to the AHL should he clear today. Ottawa has a game tonight against the Buffalo Sabres, and will have Craig Anderson in net behind the suddenly struggling team. After a solid start to the year, the group has lost their last four matches and are plummeting towards the bottom of the Atlantic Division. Perhaps Burgdoerfer can give them some secrets on their opponent tonight, given he spent a season playing in the Buffalo organization in 2016-17. The team is currently carrying eight defensemen, given Mark Borowiecki’s ongoing suspension, and have dressed seven of them at times already this season. If they don’t dress seven, they’ll be inserting Paul back into the lineup given they only have 12 forwards currently on the roster. The 23-year old forward does have six points in his first six AHL games, and is looking to get back into NHL action for the first time this season. The Ottawa Senators have recalled Nick Paul from the AHL, as they get ready for their matchup tomorrow night. With Brady Tkachuk the latest to be put on injured reserve, the Senators were down to just 12 healthy forwards and needed to recall at least one more. The team actually still only has 21 players on the roster, and could make additional moves before taking on the Montreal Canadiens tomorrow. Kristian Vesalainen has been sent down by the Winnipeg Jets, meaning he could potentially see his contract slide once again. Vesalainen has played in five NHL games so far, meaning he’d need another five in order to burn the first season of his entry-level deal. If the Jets let him play in the minor leagues instead, they’ll save a year of cheap production. The Ottawa Senators have signed one of their restricted free agents, inking Nick Paul to a one-year two-way contract worth $650K at the NHL level. Paul was not eligible to file for salary arbitration, and will be an RFA at the conclusion of the deal. Paul, 23, only played 11 games for Ottawa last season, instead spending most of the year with the Belleville Senators of the AHL. The 6’4″ forward is an excellent offensive contributor at the minor league level, but can’t seem to carve out a full-time role in the NHL. There may be more opportunity this season with players like Mike Hoffman and Alexandre Burrows not around, but Paul will have to show that he can contribute in various ways to really make an impact. Originally selected in the fourth round by the Dallas Stars, Paul has just 36 NHL games under his career to this point. It wouldn’t be surprising to see him add to that total this year, but he doesn’t look like a key part of the turnaround in Ottawa. The Senators are expected to struggle on the ice even if they keep captain Erik Karlsson around, and are looking to add more young talent into the pipeline. Even with his relative youth, Paul doesn’t possess the type of high-end skill that is needed for Ottawa to really get back to contending.